BPS offers licensing solutions to telco’s, ISP’s, Datacenters, ISV’s, ASP’s, Managed services providers partners & IT Resellers that allow them to use specific vendor’s licensed products in order to provide it as software as a service, infrastructure as a service, hosted dedicated applications and managed application to their end customers. Service Providers can provide these services from their own or outsourced data centers via the Internet; they are also able to manage and license customer platforms on their own site. (based on the terms and conditions of the vendor). The Microsoft Services Provider License Agreement (SPLA) is for telco’s, ISP’s, DatacentersISV’s, ASP’s and Managed services providers partners who want to license the latest eligible Microsoft software products to provide software services and hosted applications to end customers. 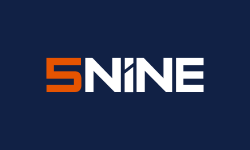 As part of the Microsoft Enterprise Cloud Alliance, 5nine delivers the first and only agentless security and management solutions specifically designed for Microsoft Cloud Platform. Available through the Microsoft Azure Marketplace, 5nine solutions provide unified security and centralized management for Microsoft Hyper-V to reduce costs, increase productivity and mitigate security risks. The Trend Micro MSP Program provides Service Providers Unique tools for central management and self-provisioning, both cloud and on-premises security solutions. Trend Micro offers service providers a complete portfolio of security solutions to drive revenue for their business. The Acronis Service Provider License Agreement (SPLA) is aimed at selected service providers who want to license and host the latest eligible Acronis software products and Acronis cloud storage to provide backup and disaster recovery services to end customers, direct and/or via resellers. Parallels help businesses and individuals securely and productively use their favorite devices and preferred technology, whether it’s Windows®, Mac®, iOS, AndroidTM, Chromebook, Windows Phone, Linux, Raspberry Pi or the Cloud. Parallels solutions enable seamless delivery of virtual desktops and applications to any device, running Windows on a Mac, Mac management with Microsoft SCCM, and remote access to PCs and Mac computers from any device. The Double take Metered Usage program enables Service Providers to offer their customers an award-winning high availability and disaster recovery products as an easy, streamlined, pay-as-you-go subscription service. Only Vision offers the most cutting edge technology along with easy management, automated processes and increased profit margins. The Citrix Service Provider Program is a Citrix partner program designed specifically for service providers who provide and/or resell hosted software services to end-user customers. The Citrix Service Provider Program helps partners build high-value hosted workspace businesses through extensive guidance, support and tools to plan, build, market and sell. The SUSE Cloud Service Providers Program allows you to give your customers access to a broad portfolio of SUSE products—including SUSE Linux Enterprise Server, SUSE Linux Enterprise Server for SAP Applications and SUSE Linux Enterprise High Availability Extension—on demand or in a managed hosting environment. SpamExperts Service Provider program offers Spamming Solution Security in the Cloud or on Premises. SpamExperts Spamming Solution offers Security Deployment and Automation & Integration functionality so that webhosts could easily provide end-clients professional Email Security solutions. Azure CSP enables partners to have end-to-end ownership of the customer lifecycle and relationship for Microsoft Azure IAAS & PAAS. Partners are empowered to manage sales, own the billing relationship, provide technical and billing support, and be the customer’s single point of contact. Acronis Backup Cloud (formerly Acronis Backup as a Service) is a comprehensive, yet simple, complete, and cost-effective local and cloud backup and recovery solution that equips service providers to solve their customers’ data protection problems. Leveraging the power of the Acronis AnyData Engine, Acronis Backup Cloud delivers a highly customized, complete, and reliable service that backs up data from any source and recovers to any destination and system. Creative Cloud offers the entire collection of Adobe desktop and mobile apps, from essentials like Photoshop CC to next-generation tools like Adobe XD CC. It is everything you need to create, collaborate and get inspired. Microsoft CSP offers partners the option to resell Microsoft cloud including Azure, Office 365, Windows Intune, EMS & Dynamics 365. Partners can own the complete lifecycle including the customer relationship, migration services, customization and service.